Quite simply, this is the five-door version of the brand new Audi A3 – but don't think it's just an example of Audi slapping on another pair of doors. 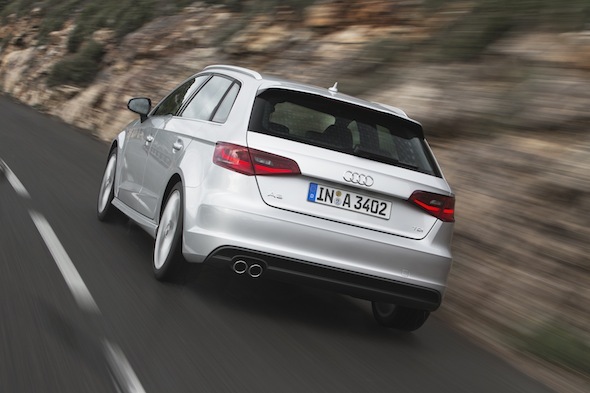 The Sportback is 35mm longer than its three-door sibling and 58mm longer than the outgoing Sportback. There's more space in the back; boot space is 15 litres more than the three-door (now 380 litres) and this rises to 1,220 litres with the seats down. Sportbacks costs £620 more than three-doors. There's a choice of three units – two petrols and a diesel. Petrols are a 120bhp 1.4-litre and 178bhp 1.8-litre TFSI, but it's the diesel which will take the largest share of UK sales. It's a 2.0-litre TDI which boasts 148bhp and gets to 60mph in 8.4 seconds. Combined MPG is a respectable 68.9mpg and CO2 emissions are just over the 100g/km mark. A 182bhp 2.0-litre TDI, a 103bhp 1.6-litre TDI, a 103bhp 1.2-litre petrol and a 140bhp 1.4-litre petrol will follow later. Three immediately spring to mind – the BMW 1 Series, the new Mercedes-Benz A-Class and the sleek Volvo V40. It has to be said the Audi is the more conservative choice, but that's not necessarily a criticism. Don't forget the Volkswagen Golf, either – it shares the same "MQB" platform as the A3. You'd never describe this new A3 Sportback as trail-blazing – it's very good in every area we can think of. To drive, the new Sportback is sharper and more fun to steer. The ride is considerably better than the old car, too, while the 2.0-litre diesel is both frugal and a strong performer. It just lacks that sparkle, though. 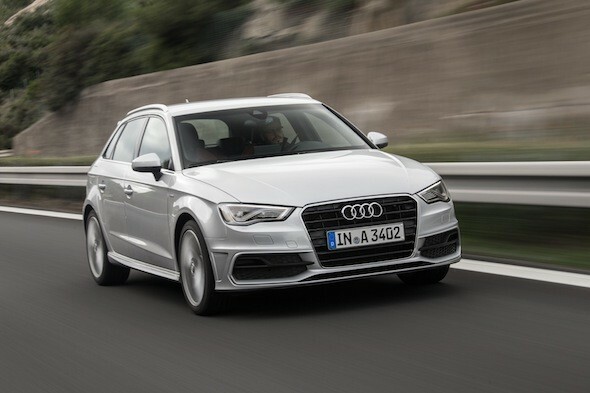 We can't help but feel the A3 has become a bit of a victim of its own success. It was once the bold and stylish choice in the premium sector; now it's the safe, stout pair of brogues. But there's no doubting it's a good car, this. It oozes quality and sophistication in a way that few can rival. It's just a shame there's nothing adventurous about it. Still, brogues are in fashion now aren't they?